Diets high in animal fat and processed foods can promote high acid levels in the body. Over time, Prevention reports that this high acid concentration can lead to the development of certain chronic health conditions, including osteoporosis. Alkaline water has gained notoriety as a product that can neutralize high acid levels in the body, but these claims are not based in solid research. To create an alkaline environment, pure water must be enhanced through the addition of metal ion, such as sodium, calcium or magnesium, notes Chem1. According to Valley Crossing Community School, alkaline substances - such as alkaline water - have an enhanced ability to buffer, or neutralize, acids. As compared to neutral substances, which have a pH of 7.0, Chem1 reports that alkaline products contain an excess of hydroxide ions (OH-), which promote an increase in pH to between 7.0 and 14.0. The Mayo Clinic notes that some proponents of alkaline water claim that it can be effective when it comes to boosting metabolism and promoting the absorption of certain nutrients. While some experts suggest that alkaline water may aid in the prevention of bone loss, chronic disease, and may slow the aging process, Mayo Clinic reports that these claims have yet to be verified through scientific research. According to Dr. Andrew Weil of the Arizona Center for Integrative Medicine, the claims surrounding alkaline water are hype, at best. Instead of drinking alkaline water, those who are interested in neutralizing acids in the body should do so by eating alkaline foods, recommends Prevention. Vegetables, fruits, and whole grains all contain alkaline properties and have been found to be effective when it comes to neutralizing acids in the body. Despite extensive publicity, it appears that alkaline water is not all that it is cracked up to be. 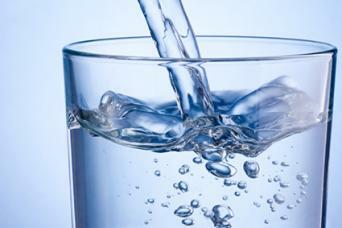 In fact, there is no solid research to suggest that alkaline water does more than quench thirst and promote hydration. Until alkaline water is extensively studied under clinical standards, those who are interested in neutralizing acids in the body would do better by eating healthy foods that have been proven to have an alkalizing effect.